The experienced Grand Rapids exterminators at Smitter Pest Control eliminate and prevent the return of a wide variety of bugs, rodents, critters, insects, small game animals and other pests — from residential and commercial buildings. Our small game hunters know the best extermination techniques for every common, and even some uncommon pests throughout the West Michigan area. As warm-blooded animals, bed bugs seek and thrive in warm places like your mattress. When you first find bed bugs hiding in your furniture, throwing out the furniture sounds like the best idea. However, even with the furniture gone bed bugs often still lurk within your home, ready to infest the next piece of furniture. Learn more about Grand Rapids bed bug removal here. When these invasive pests find their way into your home or office, they bring with them whole colonies. Ants and termites wreak havoc in the wood and foundation of the buildings they invade, and large groups of these pests gross out the residents and guests, especially when gathered around food. Smitter Pest Control offers ant removal and termite removal to rid your home or office of these hard-to-kill armies of pests. These pests come in large armies, and with their nimble size, strength, ingenuity and ability to crawl just about anywhere in the house, it becomes very difficult to eliminate the entire population. DIY ant and termite removals rarely show effective results, but a seasoned expert can trace down the colony and prevent the pests from coming back. Learn more about Grand Rapids ant and termites removal here. Creepy and crawling all over your property, insects like to invade and claim your home or office as theirs. The experienced crawling insect exterminators at Smitter Pest Control work hard to reclaim your property and keep these creepy-crawlies outside where they belong. A list of the crawling insects our trained professionals typically exterminate range from ants, ticks, beetles and centipedes to cockroaches, earwigs, fleas, silverfish, spiders and sow bugs — who all meet their maker when they encounter our exterminators. 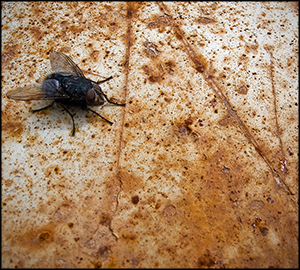 Learn more about Grand Rapids crawling insect removal here. What’s worse than an insect? An insect with wings. Flying insects swarm and infest homes and offices all over the country. Squash these pests with the help of a Grand Rapids pest control specialist from Smitter Pest Control. A list of the flying insects our trained professionals typically exterminate range all the way from boxelder bugs to wasps. 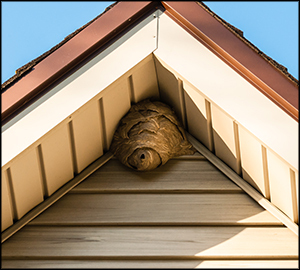 Hornets, flies, gnats, moths and the dreaded mosquito meet their maker when they encounter our exterminators. Learn more about Grand Rapids flying insect removal here. Scattering throughout your home or office, these small but pesky pests contaminate food, cause property damage and spread disease. Mice, rats and rodents create several issues when they invade your property, but getting rid of them often requires more than your standard mousetrap. Even with cats, traps and rat poison, sometimes the best solution to ridding your property of a rodent problem remains the rodent exterminator. Mice and rats instinctively adjust to things new to their environment. Mousetraps and bait may work at first, but the rodents learn quickly on how to avoid these traps. They tend to colonize in attics, burrows, wall voids, and under concrete and porches. Once they colonize, managing the problem yourself becomes impossible. Learn more about Grand Rapids mice, rat and rodent removal here. Where you store your food often becomes a target for hungry pests. Many pests live, eat and breed in pantries. Finding a cockroach in your cereal causes alarm and disgust – and usually hints at even more pests hiding in the pantry. Prevent these pests from further contaminating your food with our trusted Grand Rapids exterminators. Several different pests make themselves home in your pantry. These pests usually feast on grains, oats and flour, making your pantry their new favorite restaurant. Cigarette beetles, Indian meal moths, rice weevils, cockroaches and confused-flour beetles meet their maker when they encounter our small game hunters. Learn more about Grand Rapids pantry pest removal here. Pests crawling and flying around your home turn your place of comfort into a place of fear and disgust. When these pests invade your home, you need immediate help to remove them before the problem escalates even further. Prevent pests from ruining your home with the help of the professional Grand Rapids exterminators at Smitter Pest Control. Learn more about Grand Rapids residential pest control here. Nothing halts business like a full-blown pest infestation. When these pests invade your office, warehouse or restaurant, you need immediate help removing them before the problem escalates even further. Prevent pests from invading your business with the help of the professional Grand Rapids exterminators at Smitter Pest Control. 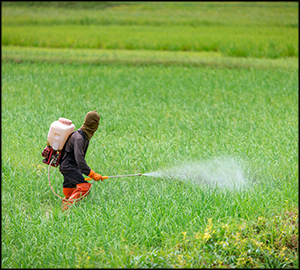 Learn more about Grand Rapids commercial pest control here. For more information on our Grand Rapids pest control services from the experts at Smitter Pest Control, please contact us here or call us directly at 616.245.7215.